Periodically check your smoke alarms. It’s important. If you don’t, when the batteries near death, there’s a chance the alarm will continue to beep throughout an entire movie – like Night Zero. Even when considering Night Zero’s small indie frame and the restraints that come along with it, letting a smoke alarm beep persistently in the background is remarkably egregious. It just keeps beeping. Critical dramatic scenes are undercut by a beep. Characters discuss their inevitable mortality and relationships directly underneath the smoke alarm. It’s possible to know the layout of the house based on where characters move and the volume of beeping. It sounds petty. Maybe it is. Yet the smoke alarm is obvious and obnoxious, like an unwanted heartbeat running under the story. Replace the battery. Take the smoke alarm down. Do what needs to be done to secure your audio on set. The threat here isn’t smoke or fire. Maybe that’s why no one cares. Night Zero instead deals with an ambient apocalypse. Characters gather for a going away party, only to be swarmed with the pressures of an alien invasion. Keeping the images tight to a few rooms allows intensity to grow after first act exposition. Aliens remain off-screen. 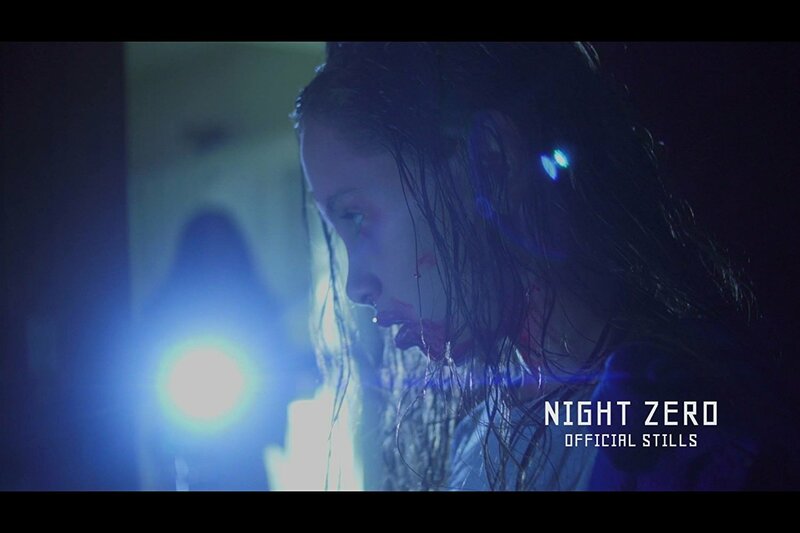 Night Zero avoids that expense, turning itself into a zombie saga. A failed anti-alien solution turns people into flesh-munching lunatics. There’s another threat to stress out this small group of friends, along with the obnoxious smoke alarm beeps. The script whittles down further. Government conspiracy isn’t an end game. Rather, Night Zero concerns fractured relationships and how adversity draws out the worst in people. Growing dread outside leads the dissent inside. The villain here isn’t a rogue government sponsored poison – it’s emotion and truth. A frenzied finish (that finally leaves the house and that stupid smoke alarm) adds a brutal display of violence. Star Katie Maloney carries a convincing mental breakdown to a searing finish, the standout in a series of otherwise routine performances. Until that climax, Night Zero meanders through a typical middle class home, the camera poking into various rooms, and highlighting deteriorating relationships. It’s plodding. Even as chaos churns outside, Night Zero continues to hone in on a variety of minor issues. Only Maloney and co-star Eric Swader matter by the finishing act. That build-up serves exposition, and enduring that smoke alarm to see it through isn’t worth it. Full disclosure: This movie was provided to us for review. This has not affected the editorial process. For information on how we handle review material, please visit our about us page to learn more. 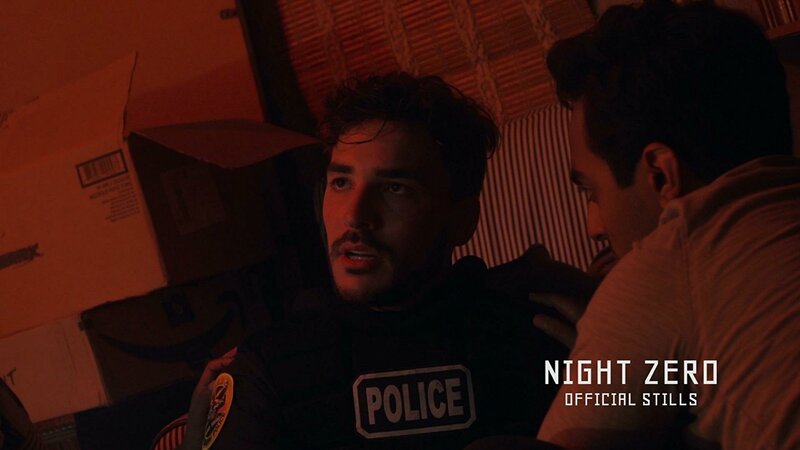 Night Zero wanders and meanders as an ambient apocalypse grows outside in a small Pittsburgh suburb, failing to entertain as intended.